(3BL Media and Just Means)- After 13 years of pescetarianism, I might be reconsidering prosciutto and fried chicken. Tragic, to my purist, animal-loving friends, yes. But I feel like I don’t see the industrialization of animal production ending because I substitute tofu for chicken on my bacon-less Cobb salad. When I was a young twenty-something, I quickly gave myself to the anti-climate change, animal-loving campaigners at my university. But have any of my veggie burgers mattered? I’d like to think so. But campaigns and small personal choices alone don’t change the world. When David Yeung, co-founder and CEO of Green Monday, said this of his plant-eating, flexitarian-awareness company, I knew I trusted him. Green Monday “promotes and enables green, healthy and sustainable living through vegetarian promotion and food rescue initiatives” as an effort to reduce the global carbon footprint. But can my choice to eat “green” on Mondays reduce worldwide carbon outputs? Are meat producers scaling back their operations because I eat kale and tofu instead? And must I sacrifice the delicate and sensual world of prosciutto I’ve recently discovered in order to take a personal stand against climate change? Green Monday started as a consumer awareness initiative—promoting flexitarianism, i.e. eating vegetarian meals a few days a week in order to reduce carbon emissions—and has branched into Green Monday Foundation and Green Common. Green Monday Foundation hosts a network of universities and restaurants, taking steps to reduce food waste and bridge the gap between the food system and climate change. Green Money Ventures, the for-profit umbrella of Green Monday, hosts both retail space, an e-commerce platform, a venture capital firm and a network of corporations and universities. Green Ventures impact investment arms invest into smaller food startups with mission alignment. Yeung says their goal is not about creating a globe of vegetarians, but that the impact of food on the planet is all about portions. Green Monday partners with dining services at universities and corporations to transition meat-centric menus to a more balanced offering of meat and veggies. Columbia University’s 10,000-student population, for example, shifted to 50 percent meat and 50 percent greens. “Everyone who comes to the cafeteria becomes a part-time vegetarian. Some people don’t even need to be aware that Green Monday exists because the corporation or school makes that choice on their behalf,” explains Yeung. According to Green Monday, one flexitarian saves an average of 68 animals each year. But can the causation between the reduction of meat one day a week and the overall impact on meat production and carbon outputs be made? And how is this type of impact tracked? Yes, gradually, procurement managers reduce meat orders and purchase more vegetables. And vegetable and fruit production supposedly have a smaller footprint than meat production because it takes a lot of food to feed cattle. Plus, there’s the methane from the animals and the emissions from the meat production. However, Tamara Hapsel from The Washington Post in the article “Vegetarian or Omnivore: The Environmental Implications of Diet” points out that we have to compare the environmental impact of meats versus veggies based on calories. 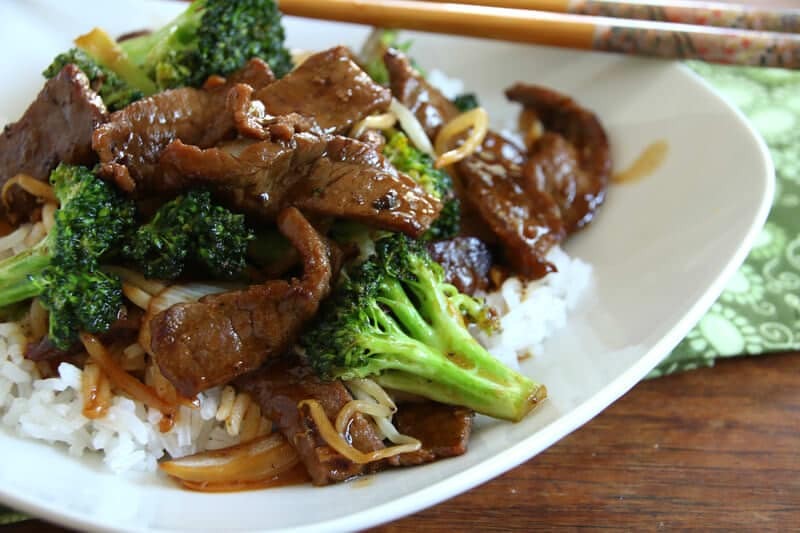 One kilogram of beef, for example, has 2,280 calories which needs replacing with 6.7 kilograms of broccoli. If we had to eat that much broccoli, I guarantee it would be covered in animal-derived cheese. So, where does that put us? And then there’s the shipping and packaging of plants, too . . .. Clearly, it’s complex, and no one organization is tracking these outputs well. At this point, Green Monday doesn’t have the capacity to contextualize or track these differences nor the environmental footprint of each school or company with whom they work---though it’s a probable goal down the road. “Tracing carbon is very labor intensive and requires expertise. For example, a school could source local food, but the packaging could be from across the planet. Most companies are not there yet and we aren’t either. We benchmark in terms of weight and volume and how much of a certain kind of food is served. Even a school who cuts out just red meat is making a difference,” explains Yeung. Green Monday grew a global network of universities and schools who are reducing meat consumption. In partnership with an Albanian coalition of 37 universities, Green Monday helped to convert each school to a 50 percent plant based diet every day of the week. But the real success is Green Monday as a forerunner for this movement in Hong Kong, where the movement started. Not only has the city seen a 55 percent increase in vegetarian restaurants and a 23 percent shift in the population to flexitarian, they have even partnered with McDonalds to reduce meat consumption. Healthy eating and healthy living have become a citywide lifestyle. “It is very important to have a voice like this in Asia where two-thirds of the population lives. Before Green Monday no one was talking about sustainability. We know we are pioneers in Asia, bar-none,” says Yeung. There’s also the issue of cost in becoming a flexitarian institution. Theoretically, buying plants should cost less than buying meats. But, according to Yeung, it really depends on kitchen practices. Plants have a shelf life of three to four days and frozen chicken nuggets last forever. There’s also the political issue of government food subsidization. “The playing field is not level between the meat and plant industries. The meat industry has an economy of scale and as horrendous as it sounds, the production of animal killing is optimized. In terms of cost, we are still fighting an uphill battle,” says Yeung. With Costco as the biggest retailer of organics, Yeung does think it is becoming more affordable to have a plant-based diet. And though Green Monday doesn’t push its partners to source organics, half of Green Common’s market is organic. Yeung is hopeful. Meat consumption has dropped eight years in a row in the U.S. and around the world, there’s a growing paradigm shift. Most of us that eat, at the least, believe that lowering a meat intake is good for our health. He believes the Green Monday movement is a key part of this. “On a macro level, are we influencing the meat production of a country? We can’t claim this, but we are influencing it. Baby steps can make a big difference,” says Yeung. Green Monday is part of the Social Venture Network and an aspiring B Corp. Check out David Yeung’s TEDx Talk in Hong Kong. See what they are up to at Green Common, Hong Kong. And if you’re a sustainable, food startup, Green Venture is open to hearing your pitch! Contact them at enquiry@greenmonday.org.